It’s True! Android 4.1.2 is finally available for Galaxy S2 International version I9100. The update was released earlier this day and it is as amazing as it was expected. Never in the history of Android was an update more wanted than this one. Galaxy S2 owners were simply losing it with Samsung and this update. The forums were all the time full with questions about when is the update coming out. Well, finally, all you Galaxy S2 owners can be really happy because the Android 4.1.2 update is out! 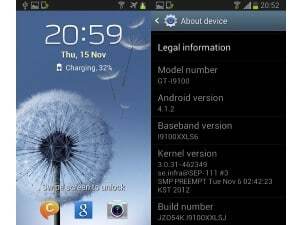 The Android 4.1.2 update for Galaxy S2 will come to you in the form of OTA (Over the air) or you can also install it via Samsung Kies. However as you know, any official update can be installed using ODIN. Before proceeding with this installation remember that it is on your own risk. We are not responsible for any damage that may occur during this installation. Make sure Samsung Kies is not running in background! This should install Android 4.1.2 XWLS8 on your I9100 Galaxy S2.